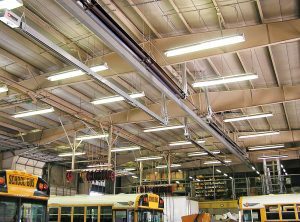 From Manufacturing Plants, Warehouses, Car Dealerships, Fire Stations to Aircraft Hangars, Space-Ray LTS Series provides ultimate venting flexibility as well as ducting outdoor combustion air in contaminated environments. 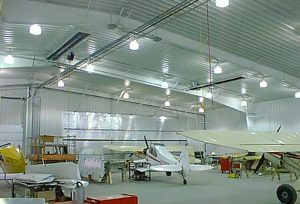 Heaters are shipped in 10’ pre-assembled packages to minimize installation cost. * Indicate model number based on Btu/hr input (e.g. 100,000 Btu/hr), emitter length (e.g. 30 ft.) . Control suffix (e.g. Natural Gas single stage input ) . The unit selection would be LTS100-30-N5. CSA design certified for vented or indirect vented operation. 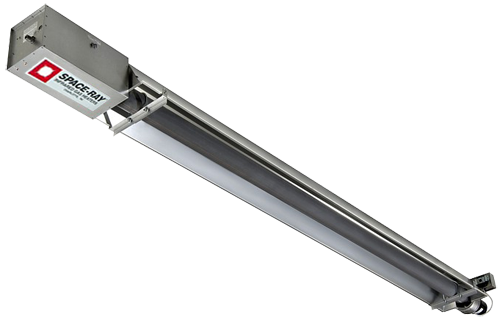 * When used indirect vented, clearance to CEILING must be: 12″ for LTS(40-75) and 18″ for LTS(80-250). If optional corner and u-bend reflectors are not used, the clearance must be 18″. Heaters can be installed in various configurations- L Shape, Z Shape etc. using 90 degree elbows. See I & O’s for typical layouts. 90 Degree Elbow Accessory Package Kit (Part #43208010) comes with the required couplings and hardware. LTS Series Only. 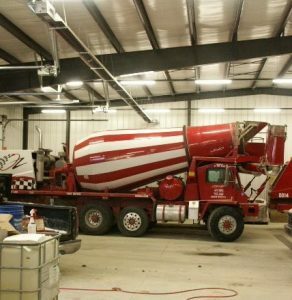 The products of combustion are pulled through the combustion chamber and operate under negative pressure for increased radiant efficiency and safety- intrinsically making it safer than any other operating system. It provides excellent venting flexibility as well as outside combustion air ducting capability. 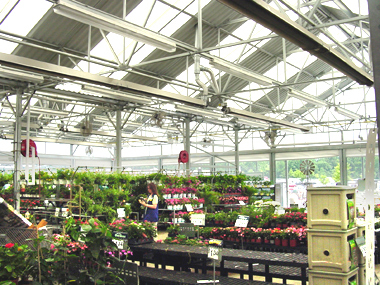 In addition heaters can be common vented to minimize the roof penetrations.